Back in 2001, when the first The Lord of the Rings film was released to cinemas, the world got hit with a new wave of complete love and fascination for J.R.R. Tolkien and his brilliant, important, fantasy masterpiece. Suddenly people were re-discovering the books all over again. New Zealand, where the films were shot, had a whole new angle for tourism: “come and see where the biggest film trilogy of all time was made!” People dressed as elves, hobbits and orcs alike turned out in droves to pop culture conventions. And, of course, there were games. Lots and lots of games. An odd licensing deal meant that there were actually two publishers that shared rights to The Lord of the Rings. EA had the rights to the film trilogy, exclusively, and could produce games set in the exact settings, as envisioned by Peter Jackson in making the film. Warner Bros, meanwhile, had the rights to the fiction itself. It meant that there was a deluge of Lord of the Rings titles for a few years there, across every platform known at the time, and this continued until EA let the license go, and all rights reverted to Warner Bros. Sadly, for the sake of the games, that went the wrong way. Looking back at the titles that were produced before and since, EA had an absolutely marvellous understanding on how to make a good Lord of the Rings game. Warner Bros. did not. The only titles that Warner Bros has been able to produce to any quality at all that have been set in Middle-Earth have been a glorified Assassin’s Creed clone (Shadow of Mordor) and a MOBA (Guardians of Middle-Earth). These are both fine games, but also both particularly poor at properly capturing the unique setting and structure of Tolkien’s work. When we look back at what EA produced… man, those were some good games. I’ll start with the best of the bunch: the two Battle for Middle-Earth titles. These were squad-based RTS games in which players would fight some epic battles set across the various locations taken from the movies. There was some simplified base building mechanics as well, and, most importantly, it was possible to summon heroes that could inspire troops and, as they levelled up through a battle, start to wipe the floor with enemy units all by themselves. The second game added more factions to play as (dwarves, and goblins, for example), implemented more complex base building mechanics, and more complex strategic options, such as flanking. There was also an enhanced campaign, and even a conquest mode, where you’d need to slowly take over parts of the Middle Earth map in a board-game like fashion. These games were incredibly authentic to the Lord of the Rings film series, from the art, to the music, and the narrative elements throughout. The multiplayer was incredibly well balanced, and I remember spending hour after hour playing this online (which is something I rarely do). 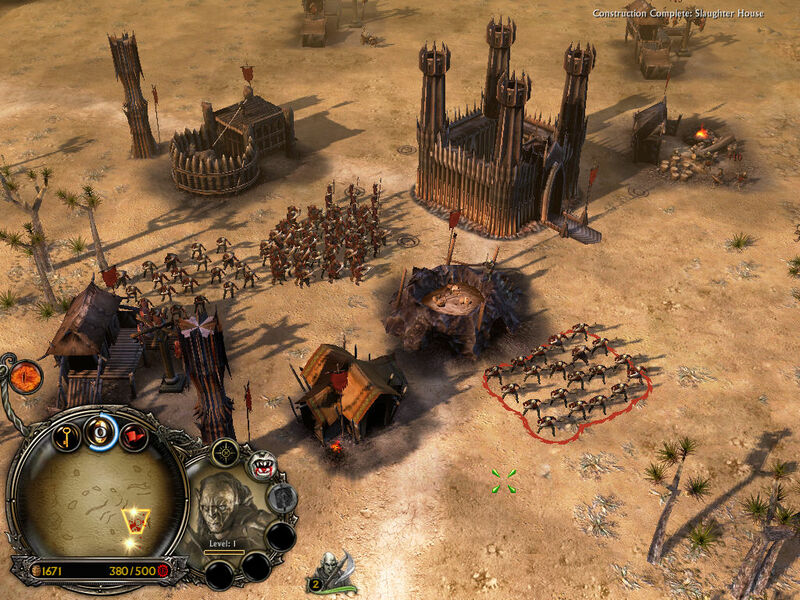 Units would gain experience as they fought in battles, so there was always a sense of ownership over each and every unit, and in many ways this was like having a Warhammer game as a result. These are, genuinely, two of the best strategy games that have ever been created, and it’s an utter tragedy that, as a consequence of EA losing the license to The Lord of the Rings, they are no longer available for sale anywhere; not GOG, not Steam, nowhere. You’d need to try and track down a very expensive used copy, and even then the multiplayer is no longer functional. These weren’t the only superb The Lord of the Rings games that EA produced. It also had a good handle for tactics games on handheld consoles; there was a tactics RPG on the PSP (The Lord of the Rings: Tactics), and another one on the Game Boy Advance (The Third Age), and in both cases the design of the games was really something else. With the GBA title the battlefield was split into three sections, and each section would provide the player with a number of action points in a turn. Those points were often not enough to move every unit in a section, so picking the right units, and moving between the three sections to take advantage of the points distribution when needed was key for victory there. 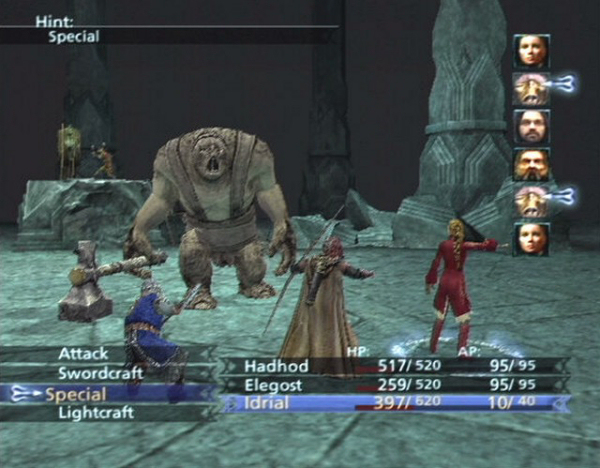 On the PSP, meanwhile, both the player and the enemies would issue commands at the same time, and once both sides had issued their commands, the turn would play out with both sides moving and attacking at once. Being able to manipulate the battlefield and control the movement of enemies so you’d maximise the effectiveness of your attacks against them was critical for victory in this game. These games, too, are no longer available for sale on any modern sales platform; you can’t grab the PSP game on your Vita off the PSN, and EA was never able to release the GBA title on, say, the Wii U Virtual Console. 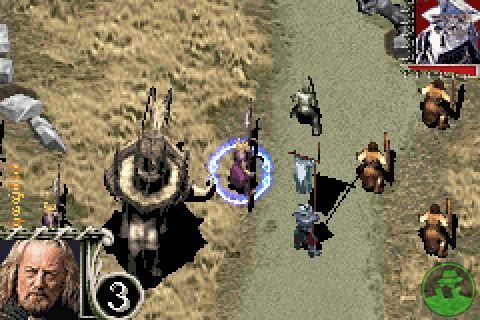 EA did a whole lot more with The Lord of the Rings than just strategy and tactics games, of course. On the PlayStation 2 there was a series of action-RPGs. Also on the GBA there were a couple of Diablo-clone hack-and-slash lootfests that were incredibly addictive. And then there was the Final Fantasy X clone, The Lord of the Rings: The Third Age (the same name but very different game to the GBA title). This game was released on PlayStation 2 and Gamecube, and though it never high the heights of its clear inspiration, it was a superb turn-based RPG, and fit the Lord of the Rings franchise like the most comfortable glove you’ve ever worn. 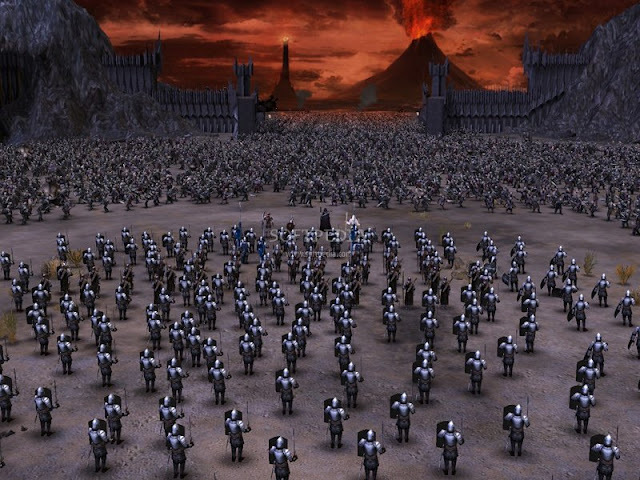 The game followed the journey of the group of heroes that followed the Fellowship of the Ring from the film - a clever contrivance that allowed EA to work with all-new characters while remaining true to the film plot - and offered plenty of turn based tactical gameplay, gorgeous art, and a meaty quest. It’s been some years since I played the game now, but I seem to remember clocking around 40-50 hours on it. Sadly, again, EA can’t re-release it anywhere today. This is symbolic of one of the greatest issues that we face in video games; availability over long terms and archiving. A fairly well-known fact is that an awful lot of early cinema and television has been permanently lost to history; films got damaged over time or destroyed, leaving no copies to restore, and television archiving was almost non-existent in its early years. 50-100 years from now the loss of art in games is going to be even more extreme. Licensing is a real issue in games, meaning works such as EA’s The Lord of the Rings titles can no longer be available; not because EA doesn’t want the money, but because laws are in place to stop EA doing anything with the content. Backing this is the reality that as hardware and operating systems change, these older games are no longer compatible with modern systems, and that makes the preservation and restoration of older games more difficult that is has been in television and film for quite some time. I want to play all of these old EA The Lord of the Rings games again. I can’t do that, and it’s actually kind of tragic. It doesn’t actually matter if the game is incredible or terrible; as works of art games should be preserved, playable, and maintained on modern systems into perpetuity.